Hi! 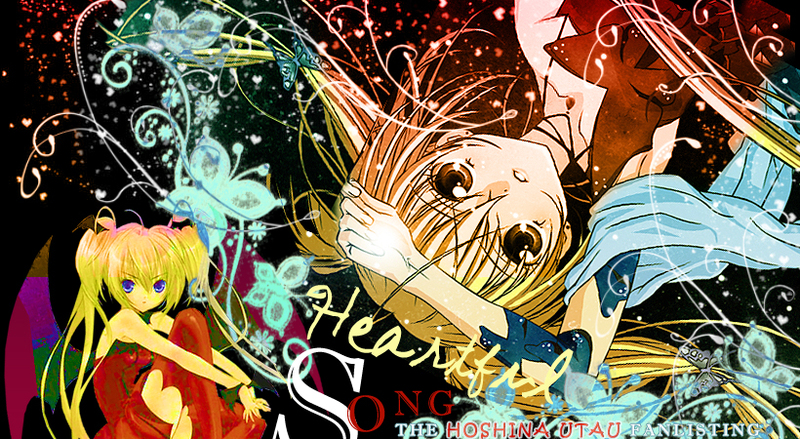 Welcome to "Heartful Song", the official TAFL approved fanlisting for Hoshina Utau (or Tsukiyomi Utau, her real name), one fabulous character from the manga and anime SHUGO CHARA!! Utau is absolutely my favourite character of this series! I adore her strong personality and her devotion and love for Ikuto. She's the best rival for Amu, the heroine, that represents Utau's opposite. Utau's feelings are complicated and she's totally jealous of her beloved brother. For this reason she hates Amu and decides to knock her down in every mode. She loves singing but she uses her fans in order to see her plan out to help Ikuto and the Easter Association, even if she knows very well that singing means "trying to open our heart", in order to save the one of the others, and to make happy who is listening to our song. Eh, Utau's real personality is different... She's a sweet person and she is afraid to lose the most important person in her life, Ikuto. Amu's pure heart can change her and at the end, she sings for her fans and herself. She's a fantastic character and I'm very proud to own her fanlisting, since this is a little place dedicate to all her fans! So, thanks Utau! We love you and your songs! Please, choose a link from above to fully access the site and if you're Utau's fan, feel free to join her fandom! SHUGO CHARA! is the property of PEACH-PIT and Kodansha, all rights reserved. This is a fan-site and I don't intende violate them. 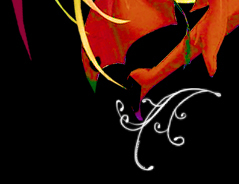 Utau's vector by @rika23, layout and contents are @Dorothy, do not reproduce without permission.